We are an OLCC Licensed cannabis dispensary in Beaverton with the highest grade cannabis products. In addition to flower, edibles, topicals and extracts we also have a great selection of glass, grinders, papers and all the accessories any smoker could need! We accept Credit/Debit cards with a minimum purchase amount of $15. We offer veterans, senior, and medical discounts! We are located next to Plaid Pantry on Walker Rd; Right across the street from Sunset Lanes & Roxy's Island Grill! We are also dog friendly! Don't forget to check us out on Facebook, Instagram, Twitter, and Yelp! 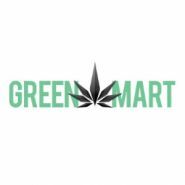 Green Mart would like to remind our customers to always keep cannabis products out of the reach of children, and to never operate a vehicle or machinery under the influence of cannabis.